If you're a wood lover, you know the difference between tight clear vertical grain and loose clear vertical grain. In the Douglas Fir flooring world, the tightness of the grain will determine both the durability and the beauty of your finished floor. We hand sort all our CVG flooring for tightness of grain. The end result is a product you can't find anywhere else. 3 1/4" is ideal for most restoration projects. This is the width you cannot find in the stores. 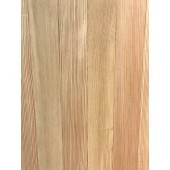 It's hard to beat the price on this 5 1/8" CVG fir flooring. 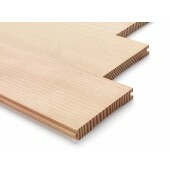 5/4x12 CVG Douglas Fir Stair Treads have a bullnose edge perfect for stair applications. These are solid unfinished douglas fir. Available in 6'-12' lengths. Do you need specific lengths? Please give us a call. Have you looked for quality, tight-grain Douglas Fir Flooring and been unable to find it? Look no more. 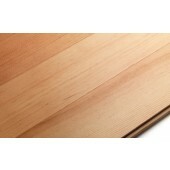 Our 3 1/8" CVG Douglas Fir Flooring is prized for it's tightness of grain and consistent high quality. All of our flooring products are kiln dried, precision milled and available in a variety of lengths. Are you looking for the CVG Douglas Fir Flooring you can't find in the stores? Look no further. 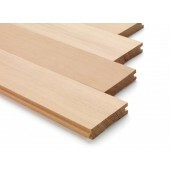 Our 3 ¼” CVG Douglas Fir Flooring is kiln dried, precision milled and available in a variety of lengths.